Sure, it sounds cliche but water is a miracle, always accompanying us. It makes up about 60% of our bodies. We are born from it. States from California to Florida have fought for decades over it. Historically, people have displayed their wealth by ostentatious display of it via vast green lawns and ornate fountains. It provides our most basic need, even more basic than food. No wonder we are obsessed with water, it’s quality and availability. Since contaminated water is one of the leading sources of health problems in the world (the second leading cause of death globally), everyone should care about it. While Mexico has made progress in the availability of potable water, there are plenty of situations in which you can’t know for sure of its quality. Even where I live, a resort where the water is supposedly filtered, disturbing yellow particles are at the bottom of a drinking glass within a few hours. Even Mexicans drink beverages like their ubiquitous Coca-Cola's, more often without ice than we do. Ironically, many a tourist trying to eat healthy by ordering a green salad in Mexico has fallen ill because of lettuce washed by impure water. This might be more than you really want to know, but the most common cause of waterborne illness is bacteria, which include cholera, E. coli and salmonella, but illnesses from water can also be caused by protozoa and viruses and chemical pollutants. Everyone who lives in Mexico either has filtrated water or they get drinking water delivered in 20 liter bottles (garrafones) for around 28 pesos a bottle. The major suppliers in Mexico are Epura, Ciel and Bonafont. Efficient, sinewy men deliver these big water bottles and take the empties away for you. Don’t drink the water from a tap (I don't even in good hotels). Take caution with ice. Don't forget to fill ice trays with bottled water too. Wash vegetables with bottled water and a few drops of Mycrodyn. Avoid exposure by not brushing your teeth with tap water. Then you’re done, right? Maybe, maybe not. After 13 years of her living in Mexico, my business partner, The Intrepid Elise, was introduced to digital water testers by one of the water suppliers in town. One of the most surprising things we learned was that even the bottled water that was delivered had varying levels of sediment and the quality of pureness varied from bottle to bottle, company to company. The fact is that the water quality can be less than perfect even in bottled water that’s delivered to you. If you are a real water purist, you may want to consider one of these testing devices. True, she’s never been ill (nor have I), possibly because after 13 years she’s adapted to certain pathogens like the locals do. With time, it becomes less and less likely you'll get sick, although even Mexicans aren't cavalier about drinking tap water. That being said and just so you know, Mexicans are rightfully insulted by the big stink we North Americans make about their water. That you'd would come to a country with all of Mexico's charms and complain about the water seems pretty small-minded to them. Globally, potable water from a tap is more the exception that the rule. Taking a few precautions is just not that big a deal. Mexico’s water quality challenges are more common in the world than our cleaner water is. In a few months, you won’t even think about it. There are a multitude of things to test for, according to this article by Life Hacker. Hola! 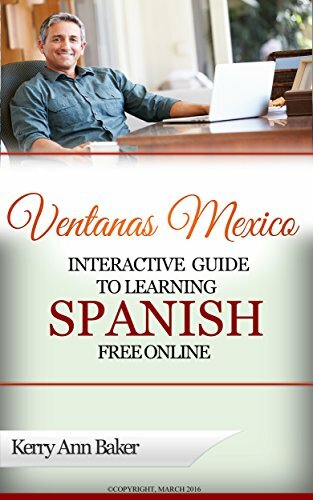 I'm Kerry Baker and a partner with Ventanas Mexico, which provides information and resources to potential expats about living in Mexico, like the "Interactive Guide to Learning Spanish Free Online,' a curation of the best tools on the web, organized into lesson plans. Don't be an expat who doesn't speak any Spanish! The time to start is now, well-before you move. Use the Guide's lesson plans or create new ones every day with the tools provided in this book's interactive links, tools you'll never find in a Google search. 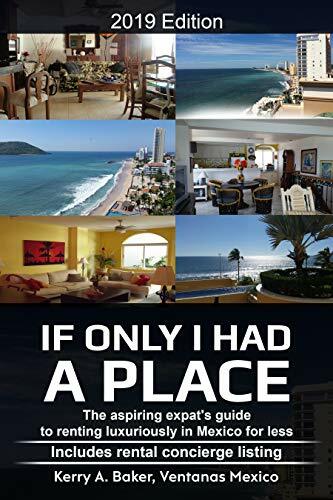 "If Only I Had a Place" on renting well in Mexico. Much more than a how-to, it gives you a fluid system that will be the infrastructure of the richest possible life as an expat. The book also includes a listing of rental concierges to preview your prospective places and ensure they are as advertised before you sign on.